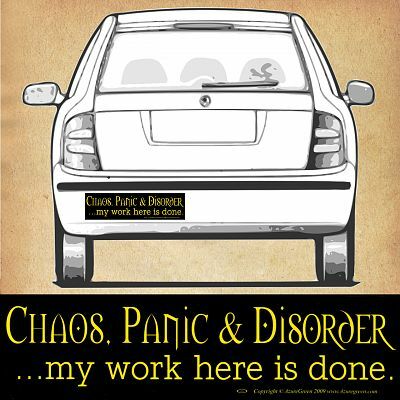 Do you have any other questions about our "Chaos, Panic, Disorder... my work here is done." Bumper Sticker? Perfect for my ginger friend!